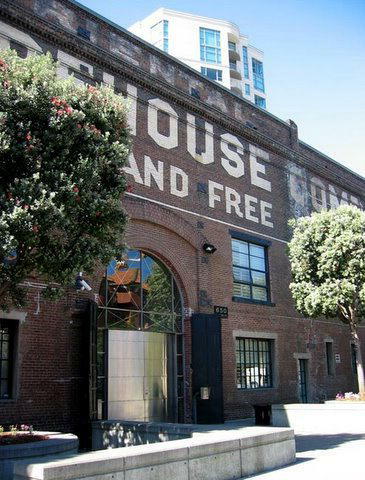 Experience San Francisco in this stunning two floor furnished luxury loft located in the historical Oriental Warehouse which is a San Francisco trophy building. Watch the property video on Animato here. This loft located in the heart of South Beach off the Embarcadero is a rare brick and timber loft, originally built in 1865 and converted to lofts in 1996, beautifully decorated in a high tech style by Montage Interiors with much use Italian Scavolini cabinetry, polished concrete, marble, steel and glass. 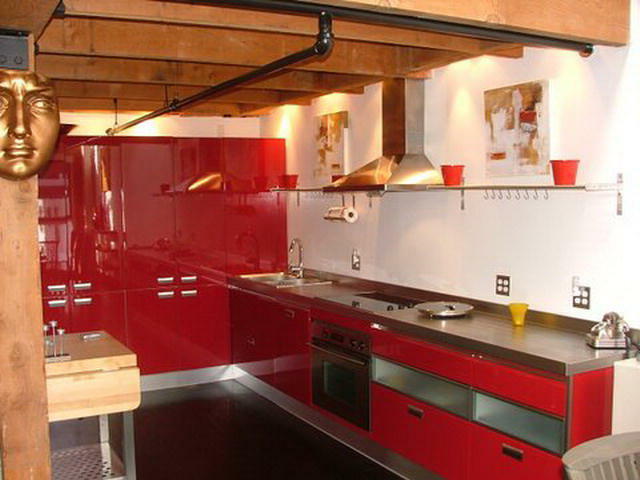 The location on Delancey Street is centrally located to downtown and South Beach which is one of the trendiest areas of San Francisco boasting fine eateries and bars and only 2 blocks from the SF Giants Ballpark. The entrance to the Oriental Warehouse, which is named for the rare Asian silks and artwork that were stored there by trading ships in the 1800s, is through dramatic 15ft steel arched doors which lead to a 4 story lobby. 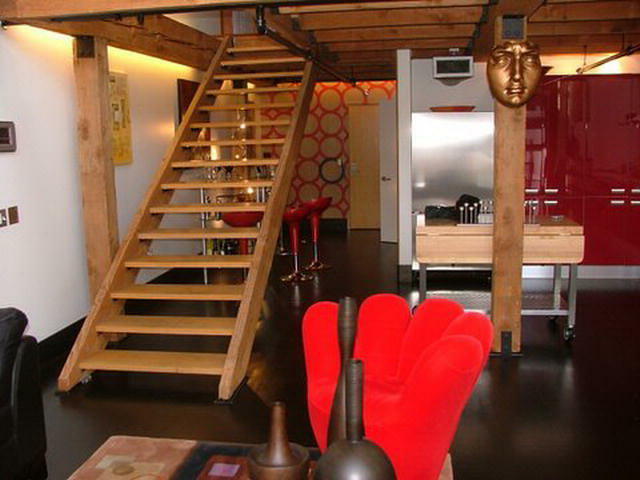 This loft is located on the top floor. 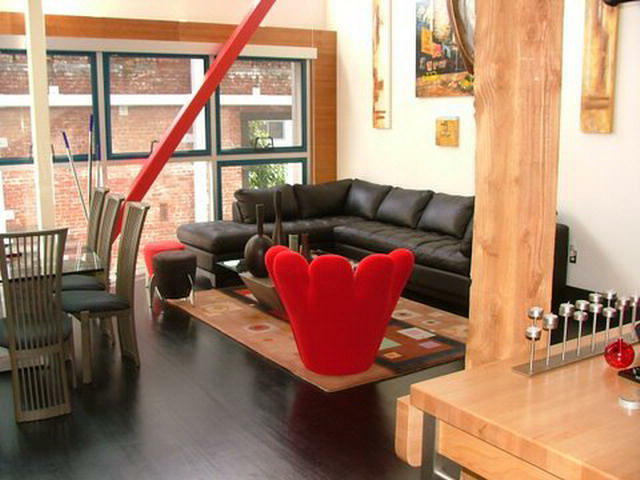 The loft has been beautifully designed as live-work space that uniquely combines sophistication, creativity, beauty and high tech so that it can function as a high tech office for a business exec or as the perfect place to give yourself an incredible experience in San Francisco. Main Level has a bar, kitchen, dining & entertainment area and a polished concrete & marble bath. Upper Level Loft has an open area that overlooks the lower living area. The Loft functions as the second bedroom and has a high end queen sofa bed with a posture-pedic mattress. A walkway leads into a large private bedroom with queen size bed adjoining to a private bath and walk-in closet. Walk to world class restaurants, Slanted Door, Momos, Le Suite etc. Available September 1st. $4,200 per month on a one a year lease. Parking and storage included. Water and garbage included. This unique loft is NOT available unfurnished and no pets allowed. Previous PostPrevious For Rent! Exclusive Private Tiburon Bayside Home – Elegantly Furnished with Expansive Bay Views….